Do you ever feel like the consequences you give your child aren’t working—and that he’s just not listening? Giving consequences is more difficult than people realize sometimes, so don’t beat yourself up if you feel like you’ve been missing the mark. There’s really no perfect way to do it—some consequences are simply more effective than others. I think it’s important to understand that the consequence you give your child is also a consequence for you, as well. It’s not pleasant—and it can often be hard to follow through. A consequence requires you to set limits that make your child uncomfortable. You also frequently have to monitor him more closely and endure pushback in the form of backtalk and bad attitude. Sometimes the bad behavior even escalates temporarily, leading you to question the consequence you chose in the first place. So if you want your child to listen, your role is to not only set the consequence in a clear, direct way, but also to make sure that your child follows through and that a lesson is learned. It’s no picnic. Here are 9 tried–and–true “secrets” to giving consequences. 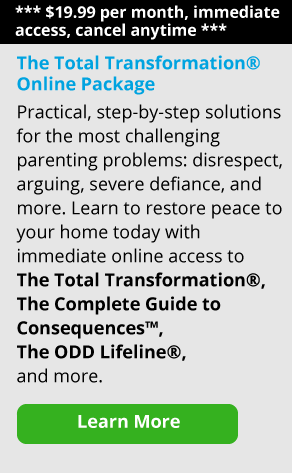 I used these techniques when managing tough teens in residential treatment centers for decades, as well as with my own son. The consequence you give should be as closely related to your child’s misbehavior as possible. For example, if your daughter comes in late for curfew on Friday night, set her curfew 15 minutes earlier the next weekend. If she is responsible and succeeds in coming in on time, she can have her old curfew back. Here’s another scenario. If your thirteen–year–old child curses at you or calls you names, you might take away his video games or cell phone and tell him he can have them back after he’s been civil to you (and everyone in the family) for two hours. If he slips up, the two hours will start all over again. That way, your child is practicing good behavior and working toward the goal of better behavior. And just like with anything else in life, practice is how your child will learn to make better choices when he’s upset or angry. The consequences you give should have a definite beginning and end. You don’t want to make them so long and drawn out that your child can’t see the light at the end of the tunnel. When consequences are too harsh or have no end, he’ll start to feel like it’s hopeless and he’ll just give up. Just like the rest of us, kids have to feel like they’re capable of following through on whatever the expectation is. Along the same lines as the above, your child needs to be capable of doing what you ask. For example, if you say that his consequence is to fix and paint the wall he damaged, but he has no idea how to do that, you’ll both end up frustrated—and the bad behavior will probably escalate. Make sure the consequence you give your child makes him uncomfortable. It would be meaningless to take away a video game from a child who doesn’t like them very much, for example. Rather, look at what we might term “goodies.” What are the things your child values? What is his “currency?” What are the things he does when he avoids his responsibilities? Your child might be watching TV or texting friends instead of doing homework or chores, for example. An effective consequence would then be related to that TV or cell phone usage. As my husband James always said, “You can lead a horse to water and you can’t make him drink—but you can make him thirsty.” So find the thing that your child will feel uncomfortable losing temporarily, and then use it as a consequence to help him work toward better behavior. When your child misbehaves, you always want to ask him this question afterward: “What will you do differently next time?” Have him come up with some examples. (If he can’t, you can help him with a few of your own.) You can say, “When you wanted to watch your show, you grabbed the remote out of your brother’s hands and pushed him down onto the sofa. What will you do differently next time so you don’t get in trouble?” That way, when you give the consequence, (“No TV until you can get along with your brother for three hours straight.”) there’s a lesson embedded inside of it. If you’re wondering how to get your child to listen, one way is to avoid yelling, screaming or arguing when giving a consequence. Don’t debate—it will only make things worse and result in a power struggle. Rather, speak clearly and in a matter–of–fact tone of voice. If you start yelling, it makes it more about you—and the argument itself—than your child’s behavior and the lesson you’re trying to teach him. Remember, if you’re out of control it reduces your authority. For many of us, it’s hard to stay calm and give an effective consequence when your child has misbehaved. If you’re feeling frustrated or angry, you might say, “Let’s talk about this when we’re both calm. I’ll get back to you later in the day.” Or, “We’ll discuss this in an hour.” There are times when you as a parent need time to think about what consequence would be most effective. Often it’s useful for your child to have time to think about what he’s done, as well. It’s uncomfortable for kids to have to wait and hear what their parent is going to say—and taking that time will help you come up with a more effective consequence. Don’t overreact or under–react. Parents can often be too intense or too permissive. It’s easy to fall into the trap of under–reacting, and neglect to follow through on giving a consequence, for example. Or they overreact and make the consequence too long or difficult. Both of those stances are ineffective. If your child kicks a hole in the wall, taking away his video games for a day isn’t going to really do the trick. But on the other hand, if he teases his sister at dinner, grounding him for two weeks is too harsh. Remember, a consequence is intended to teach a lesson and should be connected to the misbehavior. When you have a moment to yourself, come up with a menu of consequences for your child. Sit down and write a list of consequences and rewards that might be of value to him. You can even ask your child for his own ideas for rewards. In fact, rewarding good behavior is just as important as giving consequences. A reward could be a trip to the mall, a movie rental, or extra video game time after school. When you see your child behaving the way he should, take time to notice and then say something about it. The old adage of “Catch your child being good” is true for a reason—it acknowledges good behavior and inspires him to keep trying. When I worked in residential treatment with troubled teens, we had a menu of consequences and rewards and matched them to each individual kid. We also asked them for ideas for consequences for themselves. When they came up with their own consequence and imposed it, it worked very well. Let’s say your ten–year–old child breaks his younger brother’s toy. He may come up with a consequence like, “I’ll pay for a new toy out of my own money.” You also want kids to start making that match between their behavior and making amends when they’ve hurt someone or broken something—this is also part of the lesson they need to learn. What if the consequences you give still aren’t working? Does your child seem to shrug off your consequences? Believe me, over the years I’ve met a lot of kids who have said, “Whatever. I don’t care.” It’s easy to believe your consequences aren’t working when you hear those words. This is often a way for your child to bluff or withhold compliance because you’re caught in a power struggle. The consequence may be an effective one, and your child may in fact be uncomfortable, but he’s not going to show you that, no matter what. If it’s a really meaningful consequence, he might be angry and lash out. The key is to pay attention to your child’s behavior and not his words. For example, if you send your 12–year–old son to his room and he complies, mumbling under his breath all the way, then he’s really following through even though his words don’t sound that way. If you still find that the consequence you’ve given isn’t effective, there’s nothing wrong with going back to the drawing board. If you’ve assigned too harsh of a consequence, you may need to rethink what you’ve said and come back with something else. Or, you may need to change the consequence because your child isn’t taking it seriously. Let’s say your teenager is so distracted that he’s not getting his homework done. You might decide to take his cell phone away for one night and say something like, “You may have your phone back after you’ve completed your work.” He’s working toward a reward (the phone) by doing his homework. But when you find he’s still not completing his assignments, you might have him work at the kitchen table so you can make sure he’s not on Facebook or chatting with friends when he’s supposed to be studying for his math test. You can say, “It seems like you get really distracted in your room. I’d like you to do your homework here for a few days until I see that you’re able to be responsible on your own.” Again, remember to make sure the consequence has a beginning and an end. One technique that works very well after a child has misbehaved is to have them sit down by themselves and “write it out.” For the child who gets so upset he can’t tell you why he did what he did, this can be an extremely useful tool. Basically, your child should record what happened from start to finish. Then, he should write what he will do differently next time. This removes any emotion from the situation and lets kids calm down and gather their thoughts. For younger children, (age 3~6) you might have them draw a picture. When kids are a little bit older (first to third grade, for example) you might ask them to write one paragraph, and so on. It really is important to have closure on the situation if you can. Then, when it’s done, it’s done. 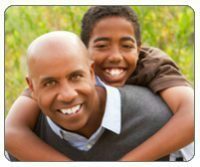 Try to acknowledge to your child that if he’s met the consequence, it’s over, and you’re moving on together. Let’s face it, it’s hard to give consequences: our kids don’t like to get them and they let us know about it—loudly. But our job is not to be friends with our kids, our job is to be their parent. As much as children may complain, kids whose parents set limits feel safer. And when you follow through on consequences, you’re teaching your children life lessons that they’ll carry with them into adulthood.